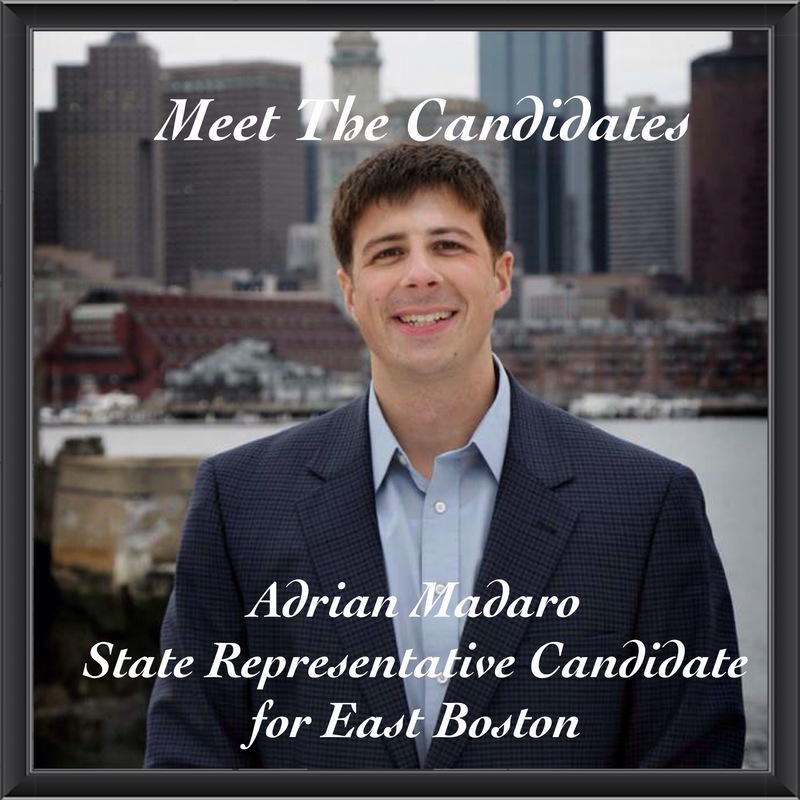 Adrian Madaro, who is 26 years old, is a lifelong resident of East Boston and a first generation American citizen. Adrian has devoted his whole life to community service and is ready to take his service to the next level as the next State Representative of East Boston. Adrian is running for state representative because he wants to work on policies and legislation that will really benefit East Boston–and he says that the best is yet to come for East Boston. Before he ran, he was the chief of staff (for four years) for the former State Rep Carlo Basile–who is now the chief secretary for the current governor of Massachusetts: Charlie Baker. As chief of staff, he was in charge of addressing and solving everyday issues for fellow residents of East Boston. He knows the budget process, knows how to file and draft legislation (and push it through city hall), and has good relationships, with the representatives, on Beacon Hill (including House Speaker Robert Deleo) which he will utilize to get things done in East Boston. His three top priorities for East Boston is Economic Opportunities (i.e. waterfront development & public transportation), Vocational Programs in Public Schools, and Public Safety. Adrian Madaro holds a Masters in Public Policy and Urban Planning from Tufts University, and serves on several boards including President of the Harborside Community. @adrianmadaro @princedjc How can we make sure that development along the waterfront benefits the people who already live in #EastBoston? Adrian: Waterfront development will create jobs so we have to make sure that we (1) prioritize construction jobs for East Boston Residents and (2) make sure that permanent service jobs (hotels, restaurants, bar etc.) are for East Boston residents. We have the best waterfront in Boston, and by having development on the waterfront we will create an engine for our local economy. @cattchaput @adrianmadaro @princedjc what is your plan to help the middle class stay in Eastie with the rapidly rising housing cost? Adrian: Today East Boston is one of the hottest real estate markets in the country. And because of that people are moving here not just to raise families but to develop here. Even though that investment is good for the community, it has to be balanced: responsible smart growth. That means we have to balance luxury apartments on the waterfront with affordable housing, work force housing, and family housing, so that all walks of life (senior citizen, immigrant, etc.) can thrive and raise a family here in East Boston.